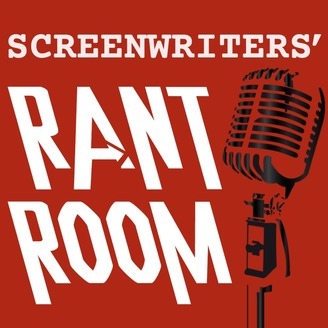 This is the Official Page for "Hilliard Guess' SCREENWRITER'S RANT ROOM!" Our host is Hilliard Guess, a WGAW award-winning writer, a director and a very busy producer. 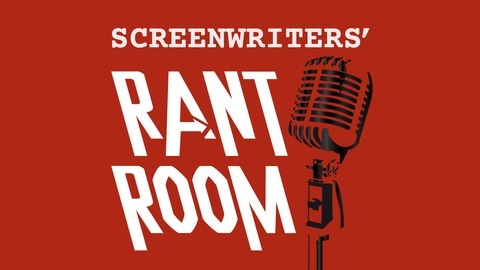 Hilliard and his amazing team drop industry knowledge in this unfiltered, hilarious podcast series that delivers nothin’ but REAL TALK… from real working writers… while at the same time… puttin’ you on game! With co-hosts: award-winning Sci-fi/Horror “Fan Girl” writer and author, Lisa Bolekaja and Cinephile - Chris Derrick of the Derick Bros writing/directing team. Our motto: “Keep it street. Keep it opinionated. Keep it what? WAKANDA!” Twitter:@ScreenwritersRR @HilliardGuess @LisaBolekaja @UnauthorizedCBD Email: ScreenwritersRantRoom@Gmail.com. In Part 2 of this episode, Hilliard, Lisa and Chris bring four young writers - - fans of the podcast -- on the mic and answer their pressing industry questions in an episode packed full of game! The Brown Twins, Amber and Dani on Instagram Dallas Rico on Twitter Richard Scott on Twitter & Instagram If you are enjoying this labor of love, please consider supporting the Rant Room with a donation to our Patreon page - we spend considerable hours and tremendous resources each week, and every little bit of support helps enormously. If you're already a Patreon Patron: THANK YOU. Don't forget to listen to... Stay Free: The Story of The Clash podcast narrated by Chuck D!!! Yeaaaaah, boooyyyyyy! Writing and Entertainment podcasts we hope you enjoy! Shout out to the Micheaux Mission Podcast for keeping it on point with their discussion of Black films!